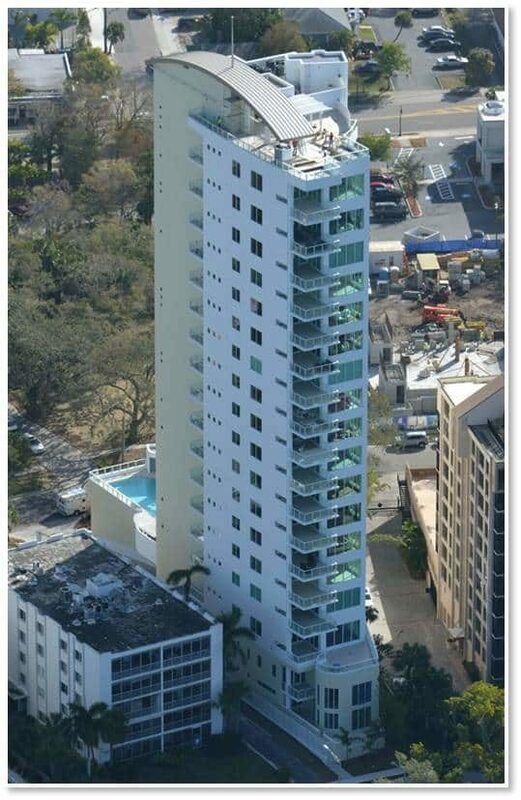 BCBE Construction LLC is an experienced and knowledgeable luxury high rise condominium builder and renovation specialist. 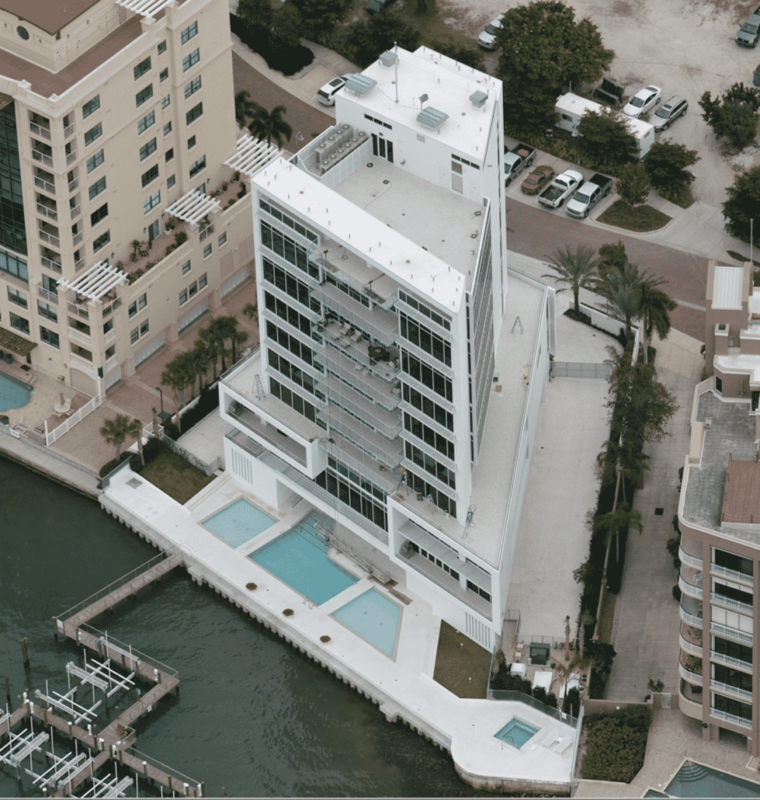 BCBE’s team has been associated with over 150 high rises throughout Florida for top developers such as WCI Communities, Lutgert Companies, PACT and The Ronto Group. 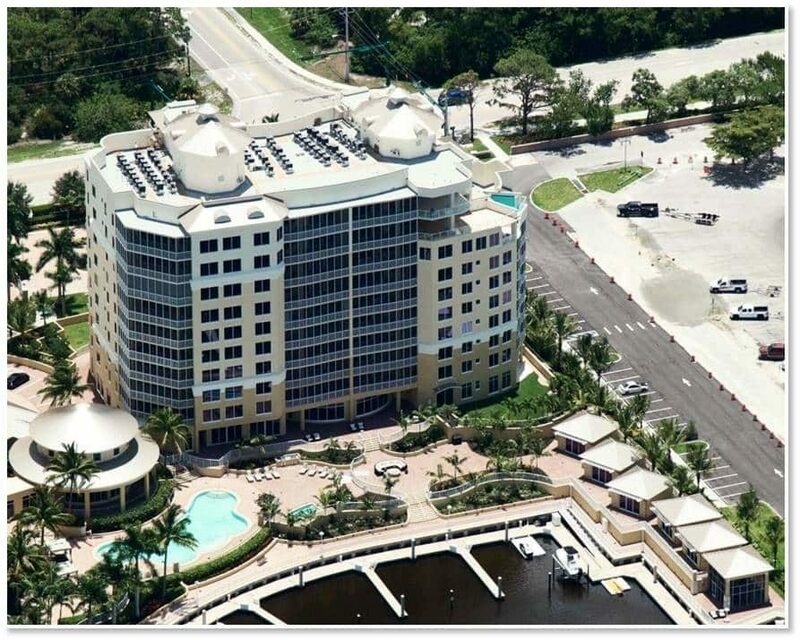 These exquisite buildings line both coasts and BCBE Construction LLC is proud of its continued expertise and growing portfolio of new and renovated high rise condominium residences and the upscale amenities within. Our extensive knowledge and experience allows us to provide you with the right balance of cost, schedule, quality, the ability to deliver our promises and back them up with superior warranties. 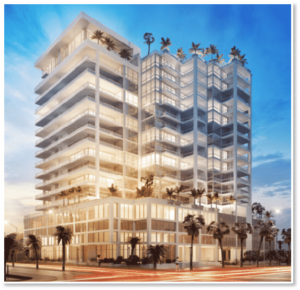 Top Developer, Ronto Group, has retained BCBE Construction LLC to serve as the general contractor for Echelon on Palm in Sarasota, Seaglass and Naples Square. 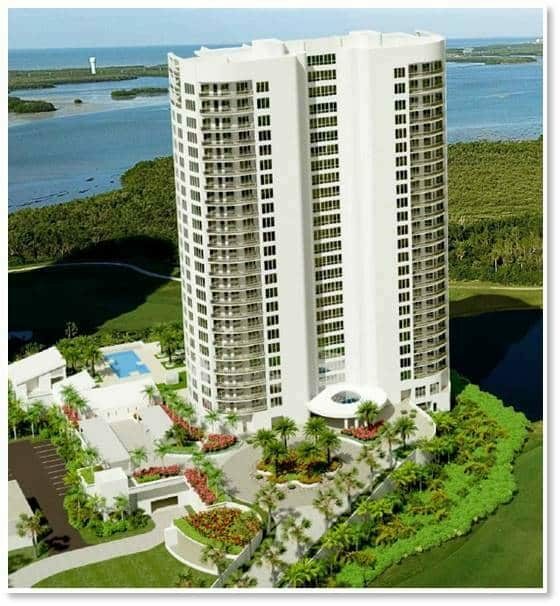 A 26-floor, 120-unit tower being built within the Bonita Bay community in Bonita Springs. 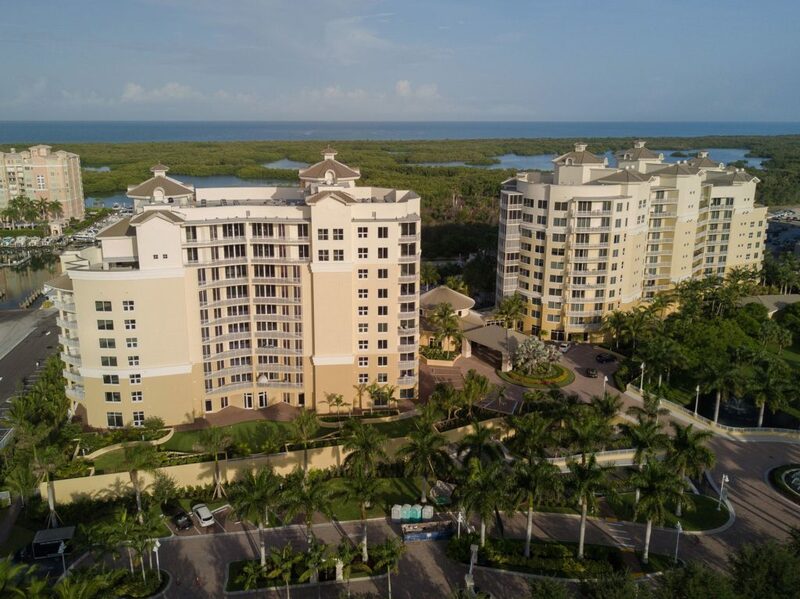 Seaglass is built to tie into the existing amenity center of the neighboring high rise, Esperia, and features residential units and penthouses fully-completed with designer-selected premium quality finishes ready for immediate occupancy. 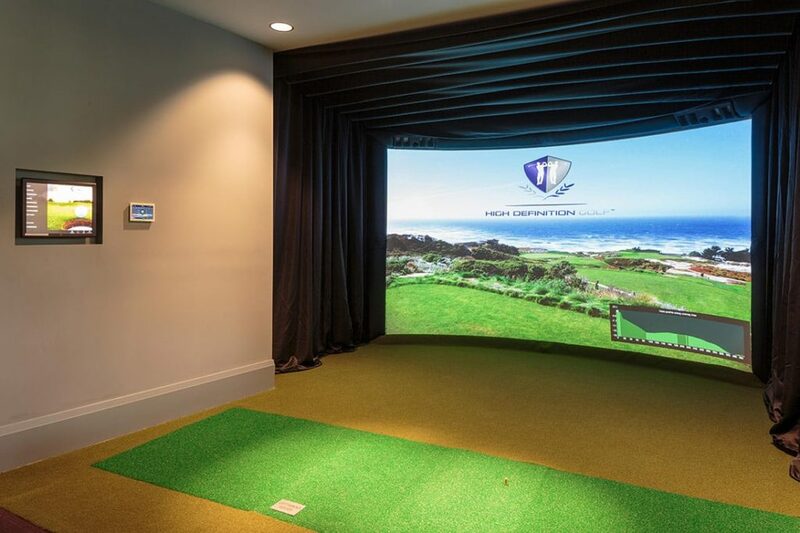 For more information on the project, please visit the developer website http://www.seaglassatbonitabay.com/. Project Size: 743,000 gross sq. ft. 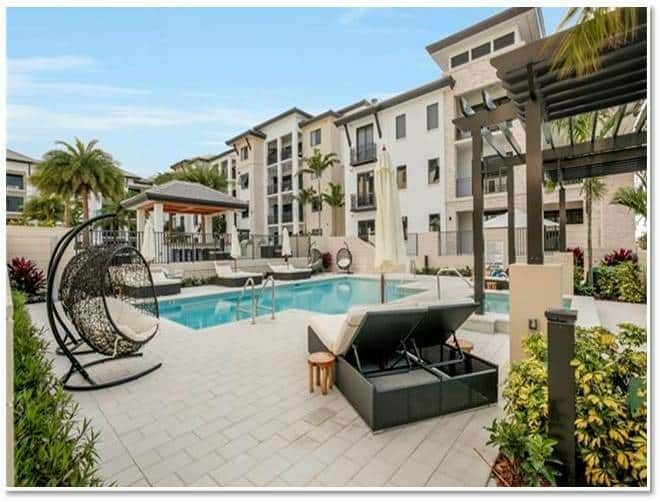 Being built in the heart of downtown Naples, this 3-story mixed-use project has 8 condo units over a commercial space with a roof top pool area and subterranean garage. Project Size: 57,109 gross sq. ft.
Project Size: 296,349 gross sq. ft. 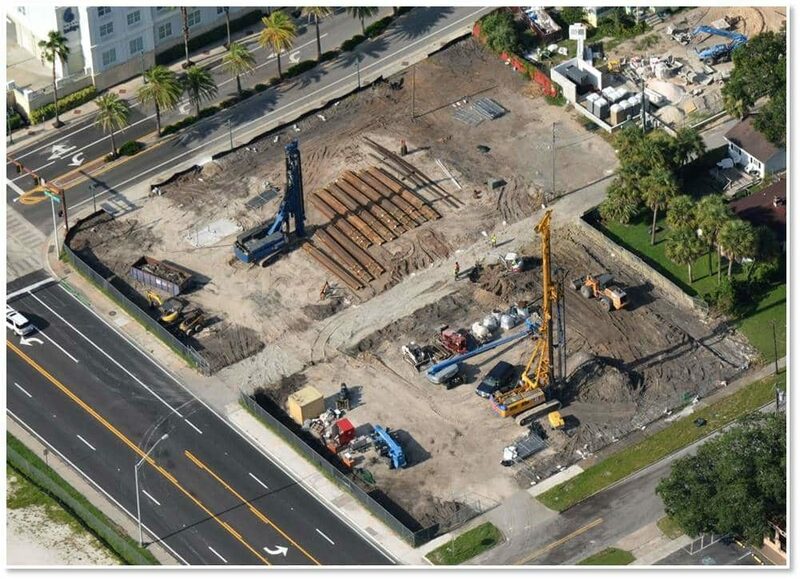 This zero-lot line 18-story, mixed-use project is being built in downtown Sarasota. It includes 14 levels of residential space containing 49 condo units over a 4-story parking garage with commercial space. There is also a full amenity package with a rooftop pool and sky deck. Project Size: 134,000 gross sq. ft. 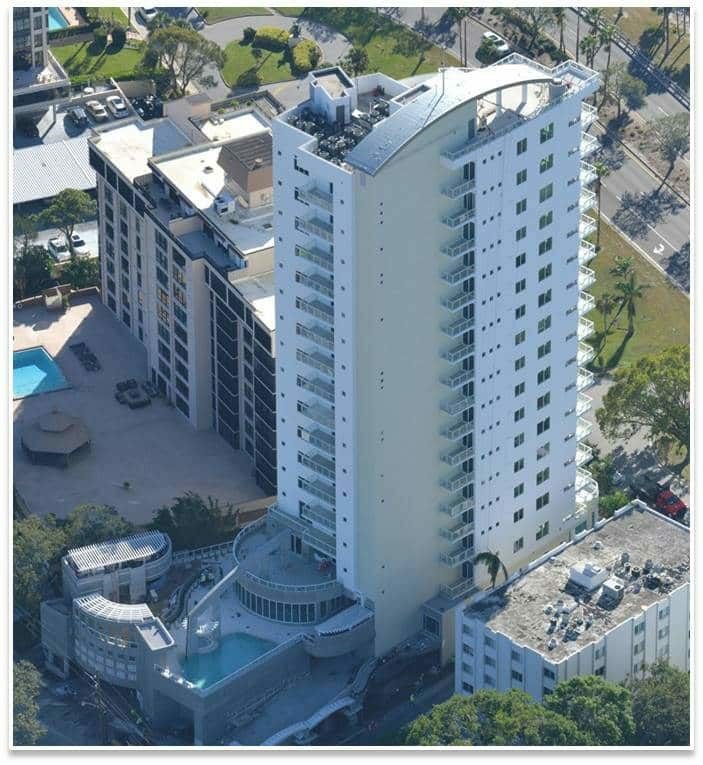 This 12-story over a parking garage condominium tower was completed in May 2018. 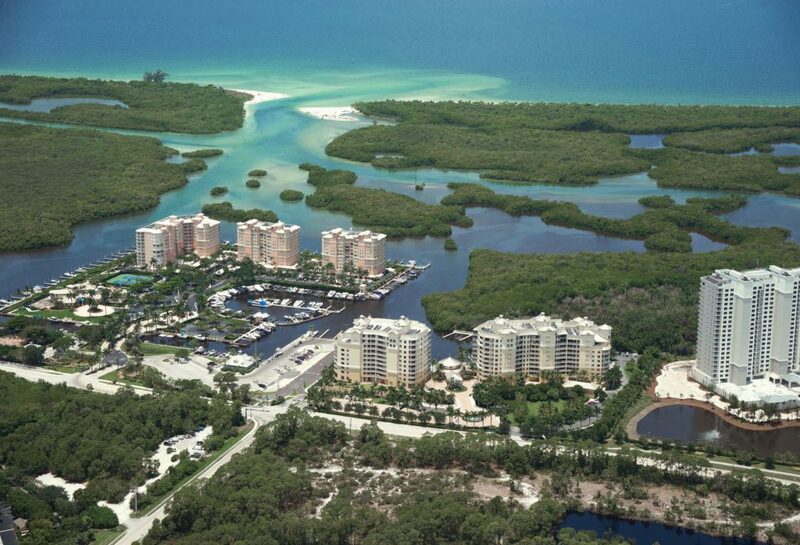 It is located next to AQUA's existing private marina in North Naples with expansive views of Wiggins Pass and the Gulf of Mexico. Project Size: 264,000 gross sq. 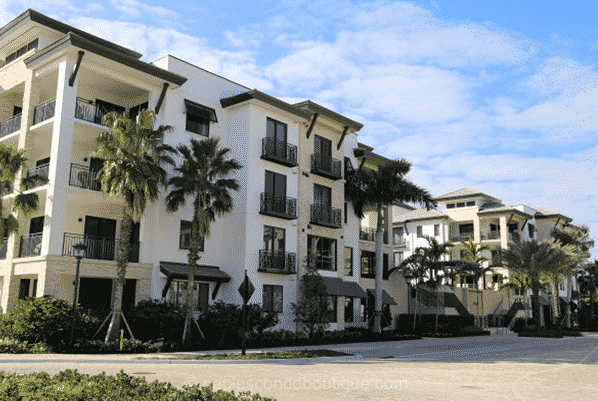 ft.
Naples Square is located in the heart of downtown Naples. 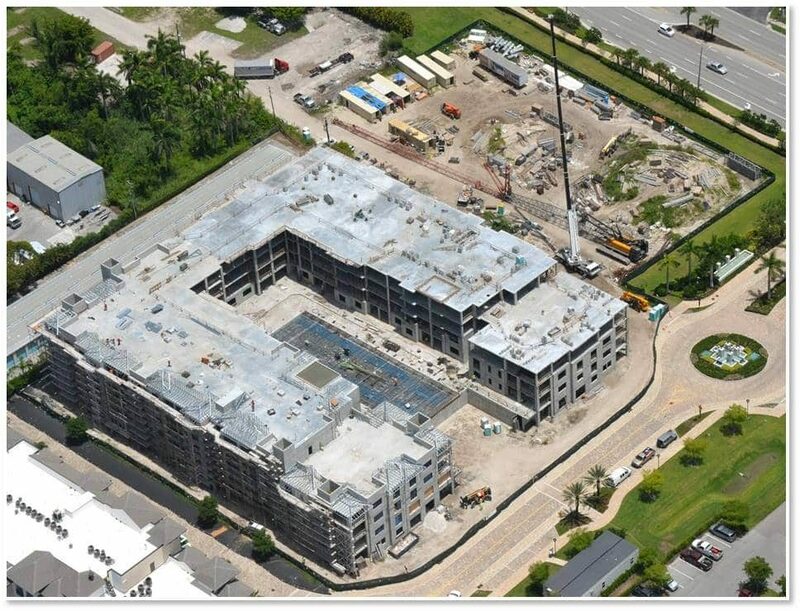 The first building, completed January 2016, contains 73 units with seven two- and three-bedroom floorplans to choose from, each with a flair for coastal contemporary design. Architectural design by acclaimed MHK Architecture and Planning of Naples and interiors by renowned designer Renee Gaddis Interiors of Naples. The second building has begun and is currently under construction. 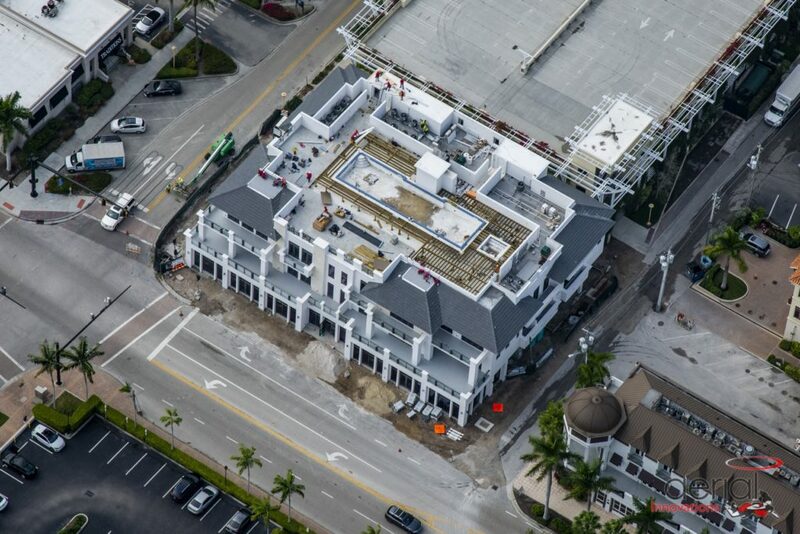 Naples Square's Finishing Touches Program is available to assist homeowners with finish selections. It offers owners an opportunity to select their home's flooring, cabinetry, countertops, door hardware, plumbing fixtures and paint colors. At the same time, they have an opportunity to customize their home's lighting fixtures and to add any nonstructural elements they desire. For more information on the project, visit http://www.naplessquare.com/. 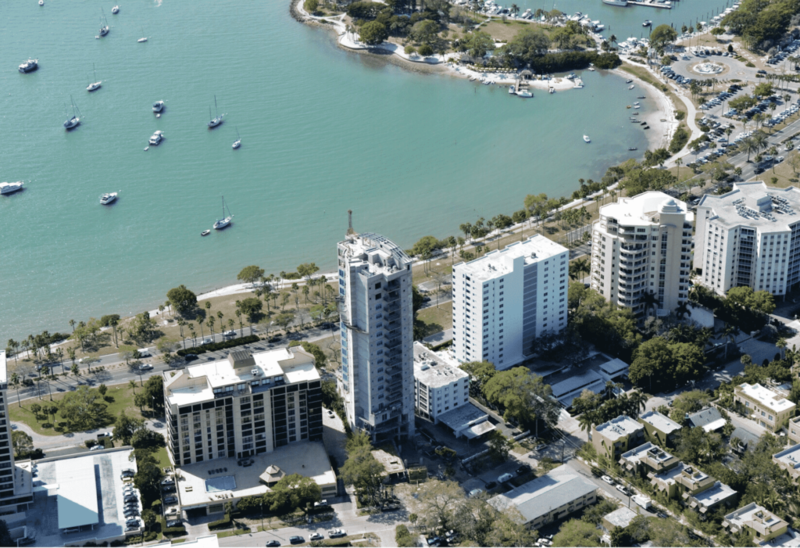 BCBE Construction LLC was honored to have been chosen as the General Contractor for the luxury condominium project, AQUA 280 located on Sarasota Bay. AQUA 280 is an exclusive modern nine-story condominium that brings together iconic style, elegance and world-class luxury. This gorgeous building was designed by Guy Peterson and developed by Jonathan McCague and Michael Adams. Eleven Eleven Central will be built by The Ronto Group in three phases and will include 210 residences in three four-story over parking buildings at completion. Just a few blocks away from 5th Aveneue dining and shopping, Eleven Eleven Central will provide the convenience of downtown living and the amenities luxury homebuyers prefer. Scheduled for completion in Phase I, the community’s approximately 60,000 square foot courtyard amenity deck will feature a 3,500 square feet resortstyle pool with a beach entry and two 90-foot lap lanes, chaise lounges and poolside tables, two spas, outdoor showers, poolside cabanas, numerous grills, a cabana bar and grilling area with large screen televisions, multiple fire pits with built-in seating areas, a hammock lawn, a life-sized outdoor chess set, a yoga stretching area, and two bocce ball courts. The 4,000 sq.ft. 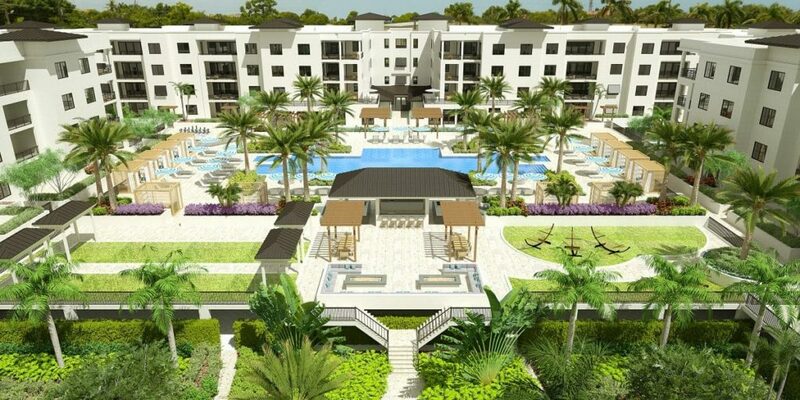 clubroom will include a bar, billiards tables, card tables, large screen televisions, and a catering kitchen adjacent to an outdoor grill and fire pit. A fitness center also measuring nearly 4,000-square feet will include a stretching and functional movement area, state-of-the-art exercise equipment, massage rooms, and rest rooms. Unlike many residential settings that have limited accommodations for visitors, Eleven Eleven Central will provide six community guest suites that can be reserved for family members and guests. 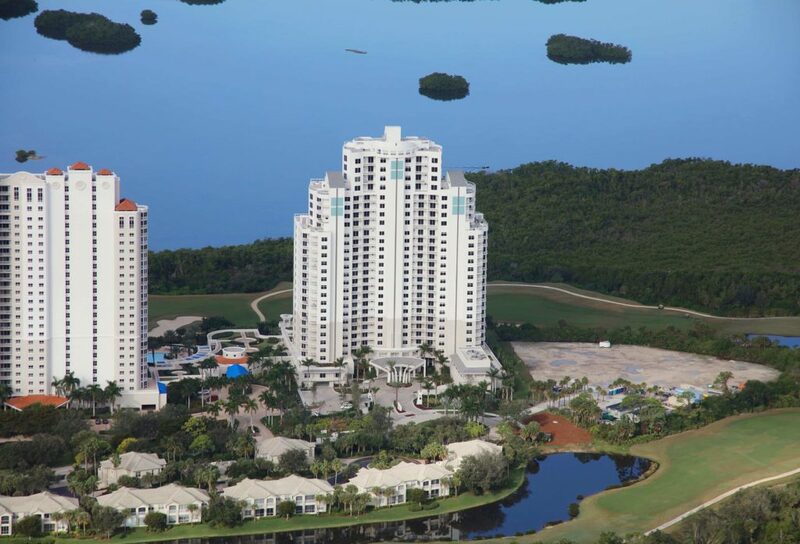 The Omega tower will be the final luxury high-rise tower to be built at Bonita Bay. Omega residents will enjoy 18,000 square feet of interior amenities, as well as an expansive outdoor amenity deck featuring a massive resort-style pool, and a 4,200 square foot rooftop terrace common area. 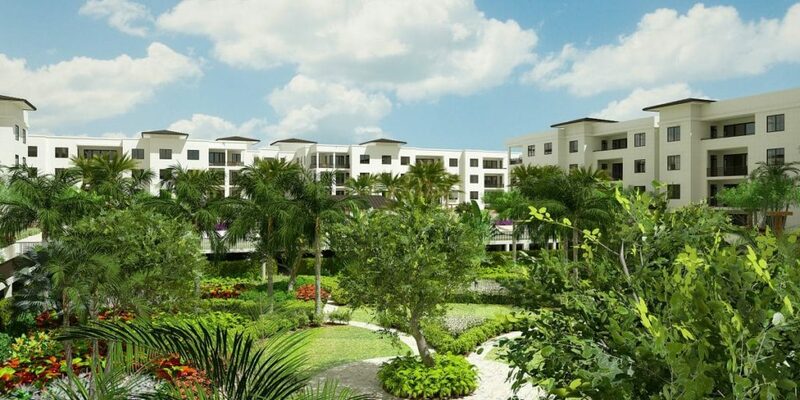 The indoor and outdoor amenities will be integrated to provide a spectacular experience. The clean-lined, modern looking tower will feature 67 residences, including 63 spacious tower residences and four penthouses that are already sold. The south side of the building will feature a 3,000 sq.ft. social room that will include a bar, a linear fireplace, a full kitchen that can be used by residents / caterers and a 600 sq.ft. movie theater for special events. The north side of the building will afford three luxurious guest suites to accommodate out-of-town visitors. A 2,100 square-foot fitness center that will include the latest fitness equipment technology, a massage room, and separate men’s and women’s saunas and locker rooms. Located on the building’s second level, Omega’s outdoor amenity deck will include a massive pool, Six private poolside cabana suites (available for purchase), A whirlpool spa, A pool pavilion with an open-air bar, large seating areas, Bar-b-que grills, fire pit and restrooms and more. Omega’s 4,200 square foot rooftop terrace common area will include two hot tubs, Two large fire pit seating areas, Men’s and ladies’ restrooms, a large kitchen area for catering, and a separate bar area.